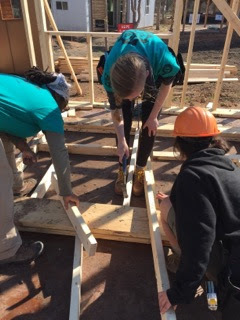 Last week we kicked off construction of the micro-homes at the Community First Village. For those who haven't heard of this initiative (started by Mobile Loaves and Fishes) it is a unique approach to ending homelessness. The Village is made up of small homes (around 100 now)- ranging from micro-homes, trailers, to platform tents. with a centralized kitchens, bathrooms, and an outdoor movie theater for the community. Residents pay rent, and earn money in the community- working in the kitchen, gardens, and blacksmith shop. Or they can jump on the nearby bus stop to commute to a job. The Village has onsite medical facilities, job training and other resources for people transitioning from living on the street. We were incredibly impressed with the approach of this supportive, community-based path to easing folks off the streets and back to their purpose in life. Last fall, Hatch Works committed to building 2 of these homes, and fundraising $18,000. We met our fundraising goal with the help of donations from (well, probably you, if you're reading this! ), many friends and a substantial anonymous donor. We kicked off construction in the new year with the help of our new Director of Construction, Jesse Porter. Having worked at Habitat from Humanity for 12 years, we knew Jesse had special powers to see this project through. In his first week with Hatch Works, he partnered with American Youth Works to bring muscle to the project. 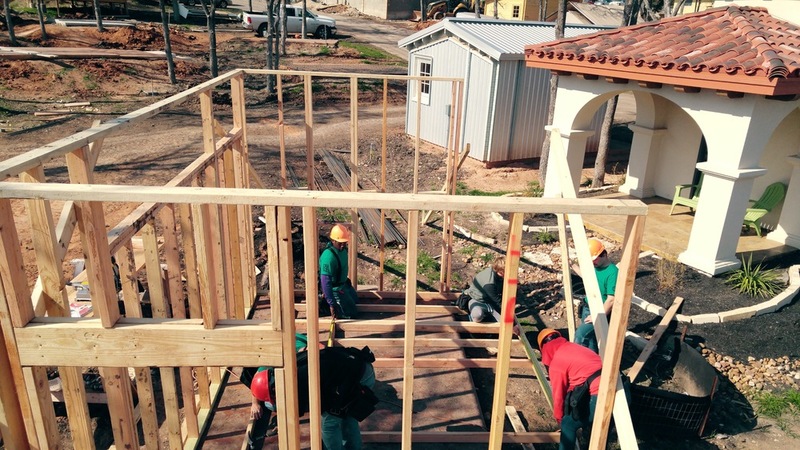 Youth Works has been on the job for a week now, and the progress is real. We're grateful to them for their help. We're a small company, so we found a creative solution to get this all done. We're happy to be in the mix. There are a ton of local businesses and organizations helping with this effort- everyone from Alamo to Snap kitchen. Give them a high five. Thanks again to everyone who donated. This is real change for something good. Austinites should be proud.